Real Estate Development in Utah | Personalized Legal Service in Orem & Provo | Jeffs & Jeffs, P.C. Real estate development projects require a great deal of time and resources. 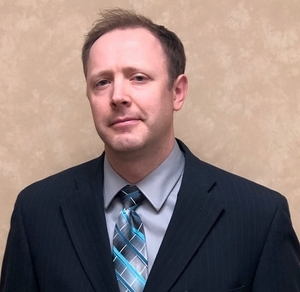 As such, it is essential to have a knowledgeable lawyer by your side who can deal with issues related to land acquisition, zoning codes and contract disputes. At Jeffs & Jeffs, P.C., our reputation precedes us. Since 1957, our law firm has worked tirelessly to represent the best interests of clients in residential and commercial real estate development matters. Zoning and land use: Prior to developing a piece of property, you should have a skilled lawyer assess the land to determine the applicable zoning codes and land use laws that may come into play. Failure to do this can cost you substantial time and money. Construction contracts: Before signing a construction contract, or any contract for that matter, you should have it reviewed by a knowledgeable attorney. Additionally, a lawyer can help ensure that the contract is complied with and that construction is performed on schedule. Environmental issues: Developing real estate in an environmentally challenged piece of land can be costly and difficult. Our attorneys can investigate land you have purchased or are about to purchase and help uncover hidden or hard-to-detect environmental issues. Real estate litigation: Disputes regarding any aspect of residential or commercial real estate can put a halt to your development project. Our lawyers have extensive litigation experience and are prepared to work passionately on your behalf. At Jeffs & Jeffs, P.C., our real estate lawyers have considerable experience representing clients in Utah who are buying, selling and developing property and land. We have a deep understanding of the law and the pitfalls that are present. Our primary concern in representing you is to ensure that your best interests are protected at all times. We at Jeffs & Jeffs, P.C. help parties confidently make decisions regarding all aspects of real estate transaction and development law. 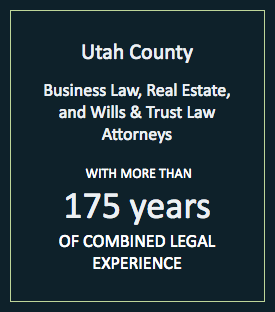 To speak to one of our experienced attorneys, please contact us today by phone at 801-373-8848 or via our online form. We have flexible hours, free parking and are located two blocks from the Provo courthouse and one block from the new Latter-Day Saints Historic Provo Temple.